Paul provides a Wasp Nest Removal service covering the Farnham, Bentley, Churt, Crondall and Frensham areas. All surrounding areas of Farnham are also covered. If you are unsure of what you have (i.e. bees or wasps) and need some help, give us a call, and we can talk you through it and advise on the best course of action. 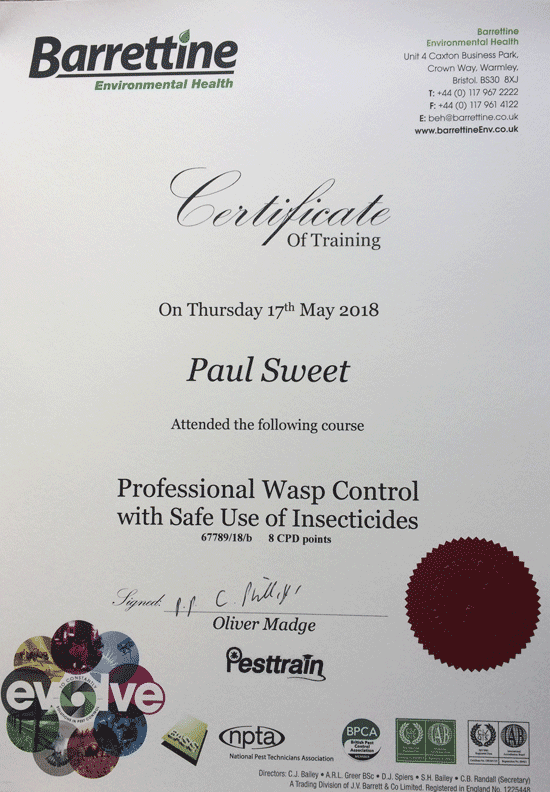 If you have a wasp or hornet problem and live in the Farnham (GU10) area and need to get rid of the nest fast, why not give Paul a quick phone call?